Jupiter was great tonight! Very steady skies. Also saw a skunk in the backyard. 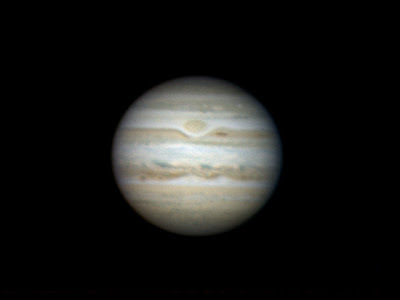 This is a quick draft of one of the images I took, and it's probably my best Jupiter image to date.